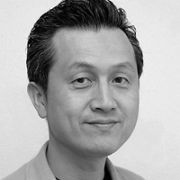 Yukio Nakayama is Creative Advisor at Dentsu Inc. Befor that, he was ECD & Chief Solutions Officer, Solutions Headquarters at Frontage in Japan. Previous to this, Yukio was the Executive Creative Director at the Creative Solutions Department, Global Solutions Center, Dentsu Inc.
Before returning to Denstu and his present role there, Yukio also worked at Dentsu Inc. as Senior Creative Director. During his tenure at Dentsu, Yukio worked for 12 years as a planner specializing in the creation of TV and radio commercials. In 2004 Nakayama was Creative Director within the Dentsu group in charge of establishing a corporate university. In 2005 he was transferred to Frontage, jointly owned be Sony and Dentsu, into the position as Executive Creative Director. Nakayama received several awards such as Best TVC Campaign at the New York Festival in 2002. He has served on several prestigious international juries including the Cresta Awards, AdFest (Thailand) in 2003, Clio Awards in 2000 and the International Advertising Festival in Cannes in 1997, among others.